The support of our sponsoring businesses is invaluable in helping the Saratoga Springs Rotary Club give back to the community. The sponsors’ donations to the show give a significant boost to the show’s proceeds, which are invested by the Rotary Club into community organizations, youth scholarships, and humanitarian aid. The Rotary Club greatly appreciates this demonstration of community spirit, and we thank the show’s sponsors for their generosity. Any business or individual interested in sponsoring the show in the future should email sponsorships@rotaryhomeshow.com. 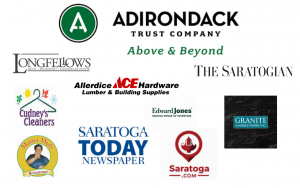 The Saratoga Home & Lifestyle Show, the Saratoga Springs Rotary Club’s largest annual fundraiser since 1973, will take place March 1-3, 2019, at the Saratoga Springs City Center. 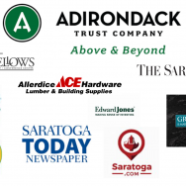 Admission to the show is free of charge, courtesy of the Show’s major sponsor, Adirondack Trust Company. The Rotary Club will be accepting voluntary cash and coin donations to benefit Franklin Community Center, a local non-profit organization. The home show, now in its 47th year, features 120 regional exhibitors showcasing a wide range of home improvement services, décor and furnishings, energy-saving products, outdoor living and landscaping, family recreation, and lifestyle products and services, as well as great prizes. On the City Center’s second floor, a fine art and craft event showcases artisans such painters, photographers, wood crafters, jewelers, and a winery, all with items for sale. Also on display will be artwork from Saratoga Springs High School students. New this year, several local restaurants will compete on Saturday from 11 a.m. to 2 p.m. in the Rotary Mac ‘n Cheese Bake-off, with some of Saratoga’s favorite establishments offering samples between 11 a.m. and 2 p.m. Attendees will vote for their favorite version of this classic dish and the winner will be announced late Saturday afternoon. Sunday, March 3, features Soup competition by Local Restaurants. New this year, several local restaurants will compete on Sunday from 11 a.m. to 2 p.m. Attendees will vote for their favorite version of soup and the winner will be announced late Sunday afternoon. The Saratoga Springs Rotary Club expects to raise close to $100,000 from the event, with proceeds being distributed to community non-profit organizations, youth scholarships, and international humanitarian aid projects. Among the many community groups that the Rotary Club supports are the Salvation Army, Franklin Community Center, Saratoga Regional YMCA, Rebuilding Together, Shelters of Saratoga, Code Blue, and Saratoga Community Health Center. The Rotary Club’s booth on the main floor will have information about the club’s scholarship and charitable donation programs. High school seniors attending Saratoga Springs High School, Saratoga Catholic High School and the Waldorf School are eligible to apply for scholarships, with applications due by April 1st. In 2018, the Club awarded over $70,000 to 16 high school seniors. The Rotary Club’s charitable giving programs include monthly contributions of under $5,000 to numerous non-profits as well as an annual major gift of $5,000 or more. Applications for major gifts are due by April 1 this year. Any community member interested in joining the Rotary Club is encouraged to stop by the Rotary booth at the show for more information or visit www.saratogaspringsrotary.org. The 2019 show at the Saratoga Springs City Center will be open Friday, March 1, 5-8 p.m.; Saturday, March 2, 10 a.m. to 6 p.m.; and Sunday, March 4, 10 a.m. to 4 p.m. Free admission. These videos that highlight the exhibits and activities that make this show a popular community event. For more information about participating in Saratoga Springs Rotary Club as an active member of our community, contact 2018-2019 President Brian Carroll. Thank you for a Great 2019 Home & Lifestyle Show!! Friday, March 1, 5 p.m. to 8 p.m.
Saturday, March 2, 10 a.m. to 6 p.m.
Sunday, March 3, 10 a.m. to 4 p.m. The Home & Lifestyle Show features 120 exhibitors, great prizes, and special events by community partners. Thanks to Adirondack Trust Company for its ongoing support as this event's Major Sponsor.